A non-governmental organisation, the Al-Habibiyya Islamic Society of Nigeria, has noted that corruption among the nationâ€™s leaders were responsible for the outbreak of insurgency, large number of out-of-school children and poverty in the country. 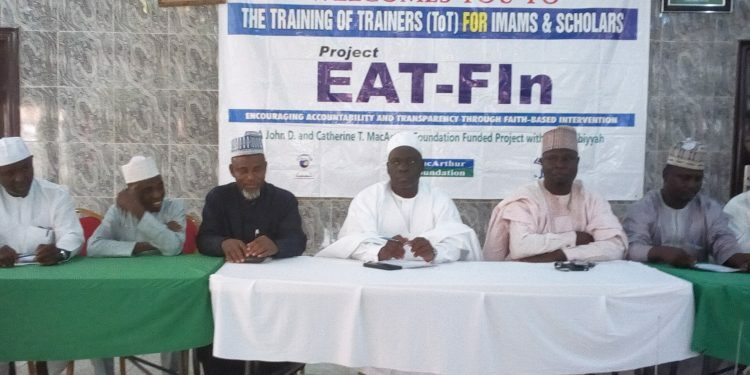 National Chief Imam of the Society, Imam Fuad Adeyemi, stated this in Birnin-Kebbi, Kebi State capital, during the opening ceremony of a three days workshop for selected 81 Chief Imams in Kebbi state on entitled: â€˜Encouraging Accountability and Transparency Through Faith -Based Intervention (EAT-Fln)â€™. The Abuja-based Islamic scholar, who lamented the consequences of corruption in Nigeria, also noted that the rebirth of insurgency and poor infrastructure facilities in Nigeriaâ€™s schools were caused by actions of corrupted leaders. Making reference to unpaid salaries across the country, Imam Adeyemi said, â€œGod says that those leaders who are using their positions to oppressed the people would not smell paradise. â€œNot only that those of them who are cheating their people taking away all the means they would use to survive from them would suffer on earth and hereafter. â€œNow that election is coming to us Nigerians, we should not vote base on religion, tribes or because of peanuts from them. â€œIf we voted for them on the basis of peanuts, they will also served us on the basis of you have collected from them. And this is the act of corruption. â€œSo, all Nigerians must rise up to reject corrupted leaders, because the situation is like a ship on the sea. â€œWhile passengers at the bottom are breaking the deck of the ship to drink water, if those people at the top did not stop them all of them will sink and perish in the sea together. That is what may happen in Nigeria if corrupted leaders were electedâ€. Imam Adeyemi urged other Chief Imams religious leaders in the country to use their positions in the society to preach against corruption and enlighten their public about evils of graft on all the nationâ€™s sectors in the country.